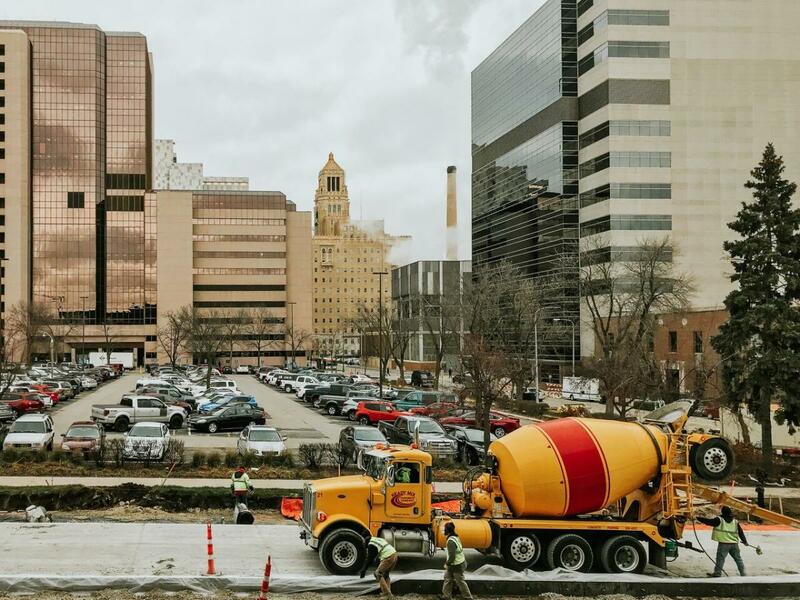 The progress of Destination Medical Center—the $5.6 billion economic development plan that&apos;s just beginning to transform Rochester, MN into a global destination for health and wellness—can be seen in construction projects throughout the city. DMC reports predict Rochester will add 1.2 million square feet of health-related real estate, nearly 1,000 hotel rooms and 500 residential units, and 50,000 square feet of retail and restaurants. And that’s just Phase I. For many of these projects, the real value lies in the innovative ideas behind—and taking place inside—the buildings themselves. This is exemplified by three buildings in a five-block radius in Rochester’s downtown building boom. When the Gonda Building was dedicated in 2001, the 21-story structure was heralded as the new “front door” to the Mayo Clinic. In September of 2018, the Mayo Clinic announced its next level of patient hospitality—an 11-floor addition, which will include a seven-story hotel. Construction is slated to start in late 2019 and be completed by late 2022. 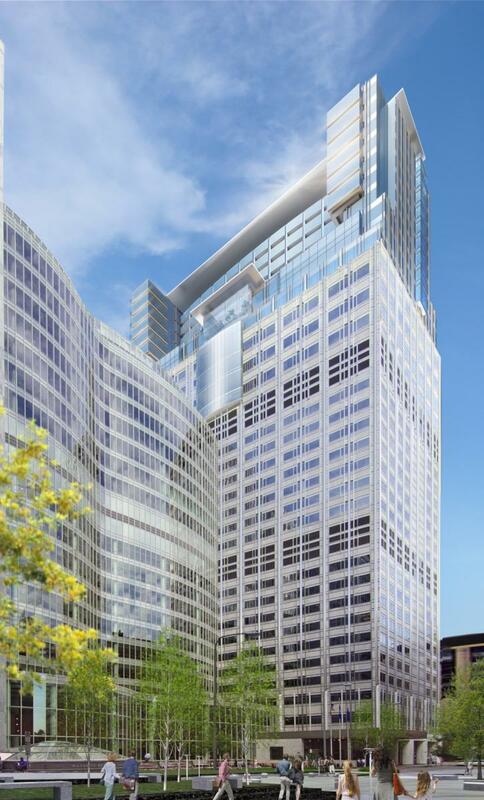 The 185-foot addition will bring the Gonda to 490 feet, making it the city’s tallest building. This unprecedented project—which centers on allowing a developer to build a luxury hotel atop a Mayo medical complex—means more than just a place for patients and families to stay. The estimated 200-room hotel project will be parlayed into four additional medical floors designed for cancer patients and outpatient procedures. Without a partner on the project, according to Mayo, these four medical floors would not have been possible for a decade and would have cost the clinic “substantially more” than the $190 million projected for their share of the project. The vision statement for Discovery Square, one of six districts of Destination Medical Center, bills it as "a unique entrepreneurial environment of businesses of all sizes." That vision will become much clearer in early 2019 with the opening of One Discovery Square, a four-story facility described as a "one-of-a-kind medical office building." The 90,000 square feet of office and lab space--a $35 million project--is specifically designed to foster collaboration, encourage communication, and become a base for medical breakthroughs. Just a year after the groundbreaking, the building has already landed major tenants, including Mayo Clinic, the University of Minnesota Rochester, and software company Epic. Occupancy is reportedly almost full. The design of the building itself is innovative, with lab-focused features like high ceilings for large equipment, vibration mitigation systems for sensitive machines, and spaces like the ground floor Co-Lab, which allows immediate interactions between visitors, tenants, and researchers. But the real innovation will be through the types of interactions designed to take place in One Discovery Square. The tenants--including researchers and educators and entrepreneurs--will get unprecedented access to specialists from Mayo Clinic and Mayo Clinic Ventures. While the new health and life science center is still under construction, it has already generated nationwide--and worldwide--attention for its one-of-a-kind culture of collaboration. In 2017, the Rochester Armory was mostly empty. The building’s future was mostly uncertain. From its completion in 1915 through the mid-1970s, the brick Romanesque Revival building—complete with a castle-like parapet—had served as a National Guard armory and community hub. The Armory hosted concerts and cotillions, speeches and sporting events, car shows and cooking demonstrations. In 1978, the state sold the building to the city, which turned the three-story complex into the new home for the Rochester Senior Citizen Center. In 2016, the Senior Center relocated to a new facility. The Armory was in limbo, and many feared it could be hampered by its own history. The new owners would have to maintain the property and its facade to certain standards. The City Council was split over whether the city should hold onto it. Then came the proposal from The Castle Community. They would, they said, hold onto the building’s history. Embrace it, even. They submitted plans that included a restaurant, independent bookstore, coffee shop, performance space, community room, and art gallery. The group took ownership in late 2017. 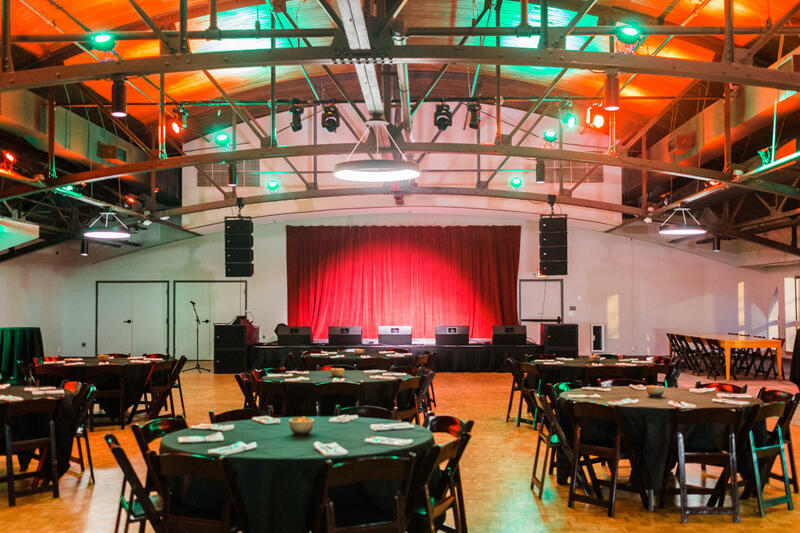 Just over a year later, The Castle Community opened with a jam-packed concert—featuring longtime local favorites Six Mile Grove— in that performance space. Inside, the renovations—and innovations—are continuing. Visitors can experience that new upscale restaurant—Cameo—which is now up and running. The can browse through records and books and wander through artist studios and smell the coffee of the new Queen City coffee shop. And they can feel the creativity and collaboration that is quickly transforming the space into a hub of cultural activities and community engagement. Just like it was a century ago.